If you select during the order process or at other times when you submit personally identifiable information, the information you provide may be used by Titan Truck to create and deliver to you our newsletters, surveys or other communications containing product information. If you prefer not to receive such Communications, please do not select the ‘Please inform me option’. If you do select this option and later decide that you would no longer like to receive these communications, please use the features made available to you. Titan Truck seeks to protect the security of your personal information both online and offline. All credit card transactions are secure. Every on-line order is encrypted and sent through a secure server, using SSL technology to prevent information from being intercepted. www.titantruck.com does recognize your ISP (internet service provider), however, we cannot identify you as an individual. If you make an on-line purchase we do collect information (such as sales statistics and traffic patterns) to help improve your shopping experience. We keep all information confidential. If you have elected to provide us with your contact information, e.g., by registering at the Site, emailing our Customer Service department or placing an order, we may provide you with service related announcements concerning the Site or contact you regarding your customer service requests or your order. For example, all registered users will receive an email to confirm their order. These types of communications are necessary to serve you, respond to your concerns and to provide the high level of customer service that Titan Truck offers its customers. We will never provide your personally identifiable information to third parties for their use in marketing their products or services to you without your consent. Titan Truck takes great pride in having you as a customer and we will ensure your privacy as a customer. 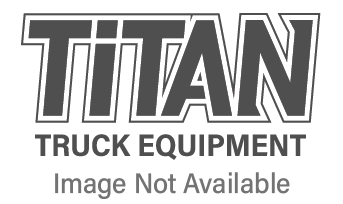 Titan Truck does not sell or exchange names or any other information about our customers with third parties. If you have requested a Titan Truck brochure, all information is kept completely confidential and is not shared with any third parties. We may, on occasion, send you an updated catalog or brochure. If you do not wish to receive any mail from Titan Truck, please contact us via email at . Include your name and mailing address and email address. You will be removed from any future mailings. If you are a registered member at Titan Truck, you can change your personal information at any time by updating your information at check-out. We are confident that your visit to Titan Truck is secure and safe. However, you may choose to call us directly to place your order over the telephone. Please call Customer Service toll free at 800-346-1704.